Home / MMA / Will Raczkowski / A Punk in A Fighter’s World: Is CM Punk damaging MMA? Or is he a Necessary Evil? CM Punk was a bonafide wrestling superstar, a WWE champion who’s intense trash talk and overall visual performances made him one of the most recognizable figures in the history of the modern WWE. He is well-spoken, articulate, and appearing humble as the clock ticks down to his personal judgement day against the young gun in Mickey Gall, tasked with seeing how legit Punk will be when the cage door closes. Now, many casual fans might want to root for Punk. He’s a nice guy who saw a challenge in another sport and left the money and successes of his pro wrestling career to dive head first into the world’s most physically difficult sport. Getting hit with a pitch in baseball hurts, jarring football tackles have knocked men unconscious, hockey players have been put through the glass, but in the world of Mixed Martial Arts, the threat of physical violence isn’t just part of the job, it IS the job. Two men locked in a cage and tasked with using whatever martial arts style is possible to impose their will on an opponent and literally beat them into submission. A man willing to take on that challenge is worthy of all of our respect, for sure. He will be a 1% of the population, a man brave enough to risk his physical well-being to learn something about himself that you simply can’t learn in any other sport, namely to find out how tough he really is. Now, while all of that is fine and dandy, and certainly Punk deserves his due for taking the plunge…do we need to respect that fact that he got his chance at all? Every day, in gyms across the country, guys are sleeping on cots or wrestling mats, waiting for a chance to live their dream. To show that their years of dedicated training and sacrifice will be recognized with a chance under the bright lights. I see it every day. Amateurs who fight for no money starving themselves, eating ice cubes and sitting in saunas to make weight to fight for 200 people. I see professional fighters in my own gym work the daily grind of a job, bills, debt, and trying to provide for a family while simultaneously laboring ceaselessly in gyms, fighting for the chance to prove they’re more than just an accountant, or mechanic, but a warrior. A martial artist who’s dedicated his entire being to a sport that really, doesn’t always look kindly on people. The life of a fighter is harsher than any other sport imaginable, not only because there is less money, but because these men can’t hide behind a poor team performance or bad coaching. Their successes are visible and cheered, their defeats are equally visible and harshly judged. Here we see a man with 2 years of training, incredible amounts of wealth and no history of the same level of sacrifice or suffering just days away from a sure-bet big time payday. Meanwhile the grinders look on, wondering why their 8-2, 10-0, even 17-4 record aren’t worth the same look. 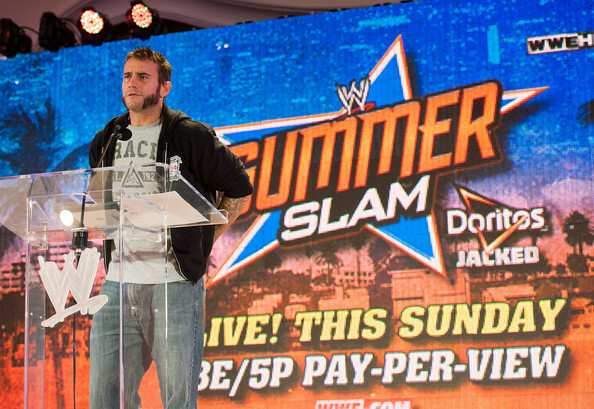 The question of CM Punk is a question of morality and necessity. Will the end justify the means? Many will point to the signing of Brock Lesnar and compare with the signing of CM Punk, but this is an unfair comparison. Brock Lesnar was a legitimate NCAA heavyweight champion wrestler who competed for one of the most storied programs in amateur wrestling. Bobbly Lashley was a champion himself in the NCAA. Punk possesses no background in fighting, and while his quest to find and answer questions about himself is admirable, should his internal search play out on the world’s largest stage, in the face of others who have already made the sacrifices necessary and made these self-discoveries? 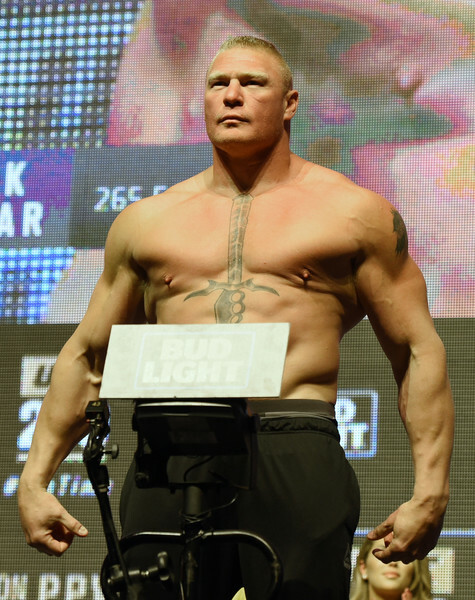 Not even Lesnar’s foray into the world of MMA took place under the UFC banner. If CM Punk levels Mickey Gall this Saturday, will the eyes that come from the UFC be the push necessary to send the UFC into the full-fledged mainstream? Maybe, who really knows? Some people might come for the freak-show and then leave. If Punk loses, he likely still makes millions, while a world of fighters who knew they could win on the big stage, continue to labor on in obscurity, hoping one day their work is for something. CM Punk may be the ends justifying the means, but where does the UFC draw the line between building numbers and sacrificing the integrity of an organization that prides itself on only bringing in the best in the world?